This month it was great to see a solar generating monthly record being broken. This was especially pleasing after such a poor year in 2017 with the overall total being the worse since the system was installed. 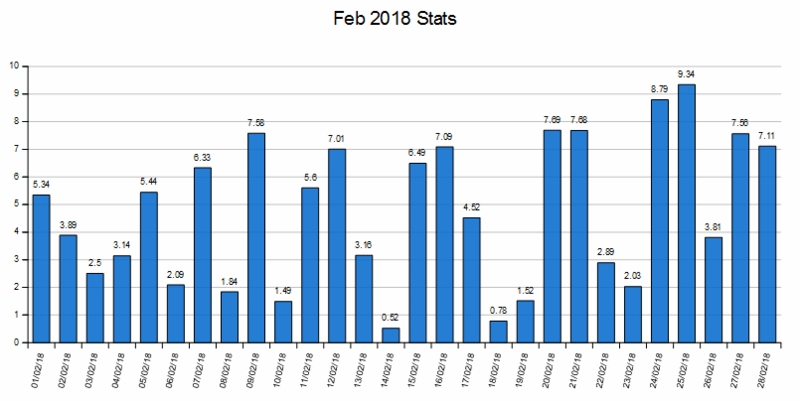 Not only was the record broken for the month, but on the 25th, the 2kw system also provided me with the best ever February day by returning a total of 9.34kWs.